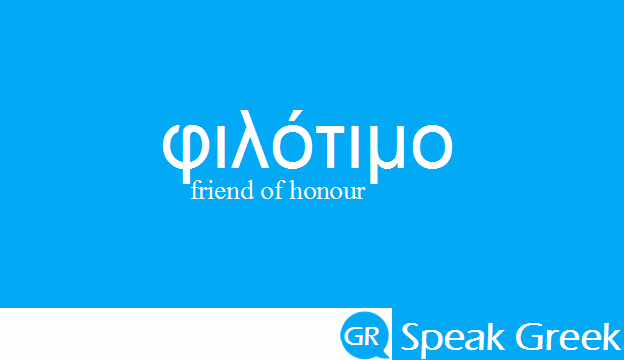 Φιλότιμο (Philotimo) from the Greek words φίλος (friend) and τιμή (honour) is one of the most important words of the Greek language as it is the highest of all the virtues for Greeks. Indeed, it includes so many different aspects of the life and how everyone should act, take decisions and choose the way of living for his/ her whole life. It is about respect, honour, pride, kindness, politeness, duty, ethos, good manners, well-behaviour, sincerity, trust, compassion, help, support, it is about what makes a good person for the society as a whole. Maybe this is why it is quite impossible to be translated in other languages. Above all, Philotimo is doing the right thing consciously without expecting anything in return. To be good and nice not because you have to but because you strongly believe that this is how the good in this world will dominate and how the society will flourish and be prosperous for each and every of its members. 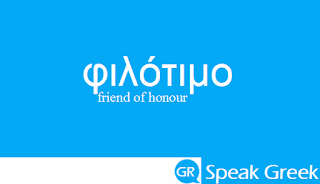 The Washington OXI Day Foundation has prepared a wonderful and inspirational video where many Greeks share their thoughts and experiences about Philotimo.